The sequences when they're playing are absolutely gorgeous. True to form and technique it looks like they're really playing. The matches themselves are intense, and I get the same feelings watching them as I did when I played in similar scenarios. I love that each character has a set of defining strengths and weaknesses in regards to how they play. And I love that this is a team that stops the bs at the door and that they can come together as a team and communicate with each other and win. I Underrated and Underestimated this Anime. The characters are different. Unlike what we'd imagine, the main character isn't a complete idiot who "works hard" and makes it happen, nor is he an amazing talent. He's just athletic and a giant ball of energy compressed into a boy. He has the right amount of flaws, but is, I guess, the right amount of 'awesome' to make up for it. The thing I like about this character, and all the characters in this anime, is that they're very easy to empathize with. Almost all the characters develop in some way. The changes may seem a little quick to come, but it makes sense. Why did they change like that? It's never some dumb reason, you can understand why and how they develop throughout the anime. Thumbs up for that. In retrospect, the plot is similar to most sports animes. (Joining a club, training to win. Win.) However, instead of just making the goal something cliche like beating a long time rival, there's a small twist! The thrilling arcs and interesting episodes, characters, and games keep the plot from falling flat into a spiral of bore. I also want to cry in happiness and kiss this anime because THE PACE IS AMAZING. The fillers (if they were even counted as fillers) were short, to the point, and wasn't unnecessarily long *coughnarutocough*. They didn't even take up half of an episode. The anime also doesn't drag out the games for 3 episodes; the games are the perfect length to get the thrill, the suspense, and the relief while managing to still keep us on our toes for the next episode. Gawd, it's great. As you might have read from the other animes, this anime is also hilarious. It's not overpowering the overall anime, but there's just enough to keep you laughing throughout the episodes and actually enjoy watching. The art is very, very pretty. It doesn't look half-done at all (which was the problem I had with a lot of sports animes) and the characters actually look different, instead of having all the same face but with different hair and eye color. (...) Some have sharp features, some have soft, and they're all built differently so they actually seem like a group of real people. The opening is not bad, but it's not good. It kind of lacks the hype you actually get from the anime, but no matter, it doesn't hurt to listen to at all. The rest of the soundtracks are well-fit for each scenario as well. The seiyuus (I watched the sub-version) are well fit for the characters. None of their voices are annoying. Yay. I love, love, love, LOVE IT!! Truly in a league of its own, Haikyu! !, with its solid plot, interesting, makes-you-genuinely-care-for-them characters and heart-pounding matches, is what all Sports anime should be, or at least strive to be. A petite, un-athletic girl, I never cared about sports, or competitions for that matter...let alone volleyball. After watching this series, not only did I gain knowledge about the sport and its technicalities, but I also got "converted" into caring for the sport itself! It made me see volleyball (and sports in general) in a whole new light that I actually want to try it for myself. For an anime to be able to inspire and spark you into action is pretty amazing, don't you think? Lastly, if there was a standout reason why I enjoyed the series so much, it has to be the MC, Hinata Shouyou, who is an absolute joy to watch and truly an inspiration worth emanating. He embodies what holds true for most successful athletes: unbreakable will, fierce determination, and the mindset to overcome his physical limitations (his lack of height) and not letting them hold him back from pursuing his dream of becoming Japan's best. From a sports anime fan's point of view, I can say that I really enjoy this anime and find it awesome. Based on watching 8 Episodes, the feels, the action, the pacing, the laughter and the character development are especially there! Needless to say, it compares well to the likes of Kuroko's Basketball and Ace of the Diamond. Where it is going right now seems in the total right direction! Almost every character has a likable side as well! A very good anime to watch and is a must for any sports anime fan! I hated sports anime until Ace of the Diamond, so when I saw this one come up, I thought I'd give it a shot. 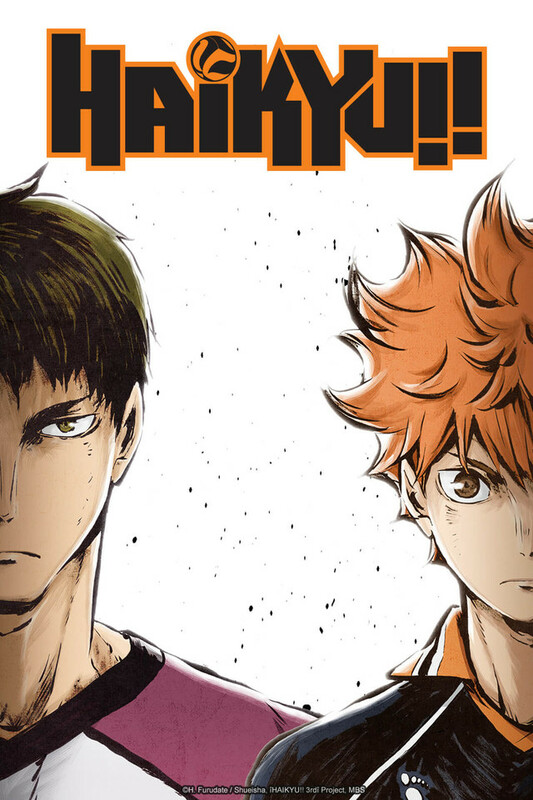 There's way more to volleyball than you might think, and Haikyu proves that! It's an exciting and inspiring anime, and I couldn't really ask for more. 2nd Season Needs To Be Announced Yesterday! For those of you who don't understand the idiom or think it's a grammar mistake, it's not. In my opinion, the 2nd season should have been announced like 10 episodes in. I've watched Kuroko no Basket's 1st season and enjoyed it, and though I haven't watched the 2nd season yet, I'm glad that its series has been successful enough to warrant a 3rd season next year. I can only hope that Haikyu!! follows in Kuroko's positive reception, and have the production company spit out as many seasons as possible. The characters are lovable, hilarious, and admirable. For those who haven't read the manga, you need to go ahead and do that right now! Simply a must watch for everyone!! I was never the biggest sports anime fan, but many people had told me about this series so i decided to give it a shot. Deep down I wondered how a volleyball show would be any good. Immediately I got a certain feel from the show that I hadn't felt before and it keep growing on me after every episode. The cast of characters are brilliant and have enough meat behind them to feel really fleshed out. I didn't know much about volleyball at all, but the show does an excellent job explaining the rules or describing what happened without it feeling drawn out. I played basketball and football in high school and the characters and situations were very relateable. There were actually many moments were I stood and applauded with the team and there were also many emotional moments as well. Lastly I want to point out that the show does a brilliant job showing the opposing side's point of view and even makes you feel a little bad when they lose, even though they're the enemy! I was very pleasantly surprised with this show and I'm very glad I gave it a shot! 5/5 for sure! One of the best sports anime/manga. I didn't really like volleyball before this. ......................... what else you need in a sports anime. The characters are all vivid and distinct, with perfect voice acting. It's not a comedy, but the writers slip in small gags with perfect timing. The animation style is clean and always well-executed. I also like that the show shows the team beginning to get along well and that there's some strife at the beginning. This is probably one of my favorite anime in the last few years, along with Chihayafuru. I love this show, watch it now!